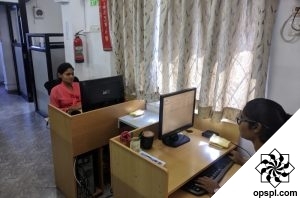 Types of Software Testing | Online Productivity Solutions Pvt. Ltd. In software development, every application is rigorously tested before being handed over to the client/end user. To ensure it is free of bugs and works seamlessly, several types of software testing are undertaken, making sure any code changes made to the application work as expected. Testing is an extremely important step in the software development process. It helps to find errors that may have occurred in coding. Software testing ensures the delivery of a quality product to the end user. It also makes sure the application meets the Business Requirement Specifications. Each type of testing serves a different purpose, has a well-defined objective, strategy and end deliverables. While it’s important to test an application for smooth functioning and usability, it is also essential to test your software for breakage or failure when bad data is fed into the system, data is compromised, or unforeseen actions are performed. A good test is one where you dissect an application, understand its limits, and improvise for flawless functionality. 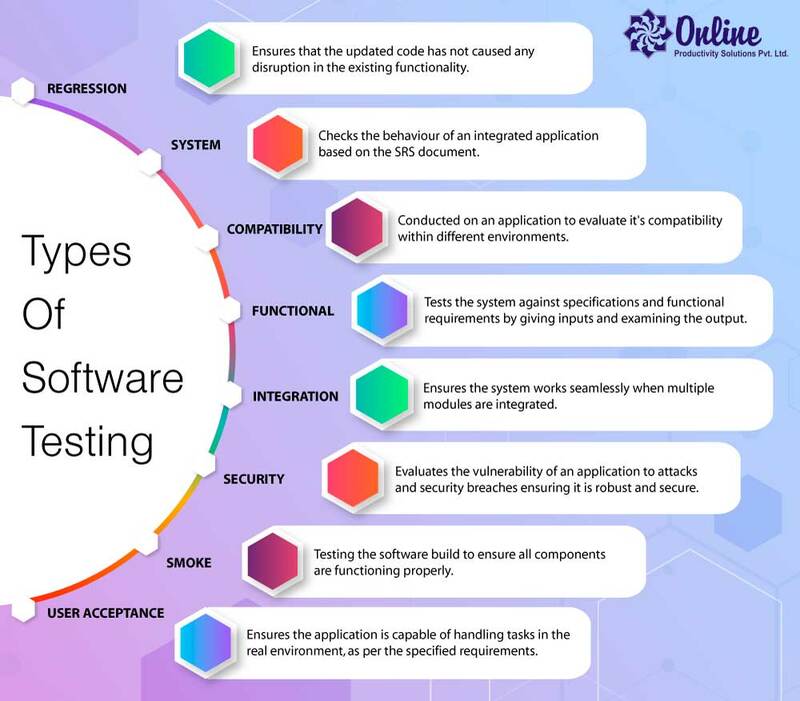 In our infographic below, we have briefly summarised a few of the various types of testing done to ensure an application is agile, robust and secure. Interested in getting your software/app tested by our Quality Assurance team? Drop us a line today.